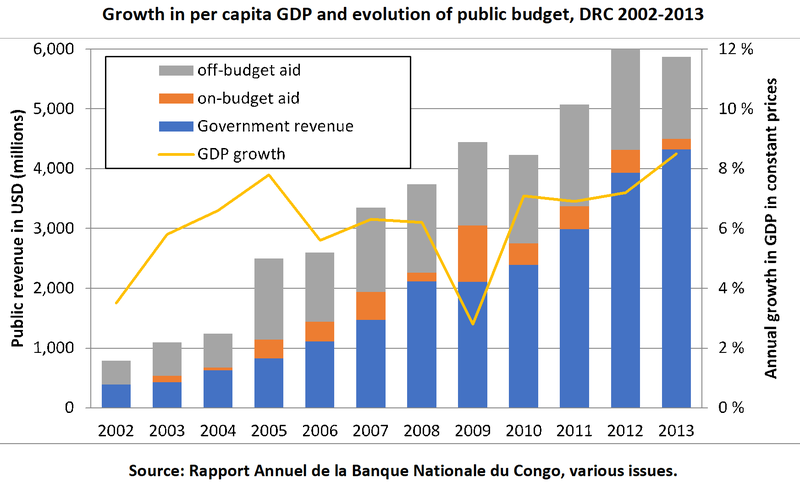 Home > Blog > Who Benefitted from the Peace Dividend in the DRC? The first decade of the 21st century marked a new beginning for the Democratic Republic of the Congo (DRC). After the signing of a peace treaty in 2002, the country re-connected with the world to engage in post-conflict reconstruction. In this blogpost, the authors ask who really benefitted from the ensuing peace dividend? By re-examining the evidence, they conclude that the country missed an important opportunity to combat the country’s devastating poverty. In several respects, the first decade of the 21st century was a golden opportunity for the DRC: the death of Laurent-Désiré Kabila created a critical juncture, both internally and externally, during which everyone realised that a further implosion of the DRC should be prevented at all cost. Peace, democracy and poverty reduction were the three main ingredients of post-conflict reconstruction. In this blogpost we focus on the third ingredient. The macro-economic indicators required for sustained poverty reduction were certainly encouraging. Not only was the public budget multiplied tenfold between 2002 and 2012, a successfully elaborated poverty reduction strategy was eventually rewarded by irrevocable debt relief in 2010 of around US$12.3 billion. These efforts also resulted in unprecedented GDP growth: negative growth rates turned positive in less than five years, from -7% in 2000 to almost +7% in 2004, and remained high until 2015, with the exception of 2009, the year after the global financial crisis. Accounting for population growth, estimated at 3%, per capita GDP still increased on average by 3-4% on an annual basis. In a broader perspective, the growth percentages observed over the 2004-2013 decade are unprecedented in post-independence DRC. In a recent paper, we answered this crucial question by taking another look at two national household surveys, which were conducted respectively in 2004/5, right before the 2006-elections that inaugurated the first post-conflict government, and in 2012/13, about 7 years after the first round. On the basis of this data, both the Institut National de la Statistique (INS) of the DRC in 2014 and the World Bank concluded that there had been a significant decrease in poverty between the two survey periods. Using the same datasets, both institutions found that the poverty headcount decreased by 5 to 8 percentage points (see Table below). However, a first problem with both estimates is that they cannot be replicated: the World Bank reports its poverty estimates without elaborating on the methodology, nor explaining why they differ from the INS results. Although INS provides more details on its methodology, we could only replicate the 2005 poverty estimates, but not its 2012 estimates. 2005 2012 diff. 2005 2012 diff. 2005 2012 diff. 2005 2012 diff. Moreover, when we applied the methodology used by INS in 2005 to the 2012 survey, we found that the percentage of people in poverty substantially increased from 72% to 81% . This is not only in sharp contrast to the INS own reported results, it also runs counter to what we know about the macroeconomic trend of the DRC economy. To produce more accurate poverty estimates and trends, we reviewed the INS methodology and recommended a few modifications. More specifically, while the INS did not apply a consistent methodology to define a representative sample for the two survey periods, we proposed a way to correct for this. Second, we proposed a coherent way to deal with differences between house renters and house owners. Further, we proposed a coherent method for calculating poverty lines and we use these poverty lines also to account for differences in price levels between the major cities and between different rural regions. Finally, we correct for errors in reporting food consumption. While implementing the above recommendations, we find that it was especially important to correct for the high degree of market fragmentation that profoundly characterizes the DRC economy. In itself, this fragmentation results from the combined effect of (1) differences in dietary and consumption practices, (2) regional differences in productive capacity, (3) differential access to international markets and (4) notoriously weak communication and transport infrastructure. Usual poverty line methodologies typically deal with these inter-regional differences by distinguishing between urban and rural areas, but in the case of the DRC this captures only one-third to less than half of the variety in cost-of-living differences measured through the method we propose. Based on the revised methodology and in line with both INS and World Bank estimates, our findings suggest that two-thirds of the DRC population are poor. This is concerning, especially given that the measure of poverty adopted essentially pegs poverty to insufficient food intake. In other words, more-or-less two-thirds of the people in the DRC are undernourished. Moreover, contrary to both INS and World Bank estimates, we find that the percentage of people in poverty in general did not significantly change between 2005 and 2012. In other words, the decade of unprecedented economic growth did not visibly translate into increased consumption for the bottom two-thirds of the population. In fact, comparing the official approach and the one proposed in this blogpost, we found consistent evidence in terms of poverty rates only for Bas-Congo and Katanga. In all other regions, we found that the direction of poverty and its magnitude are different across methodologies. It is worth noting that there are important regional differences. In cities and towns, poverty did decrease, whereas it increased in the countryside. 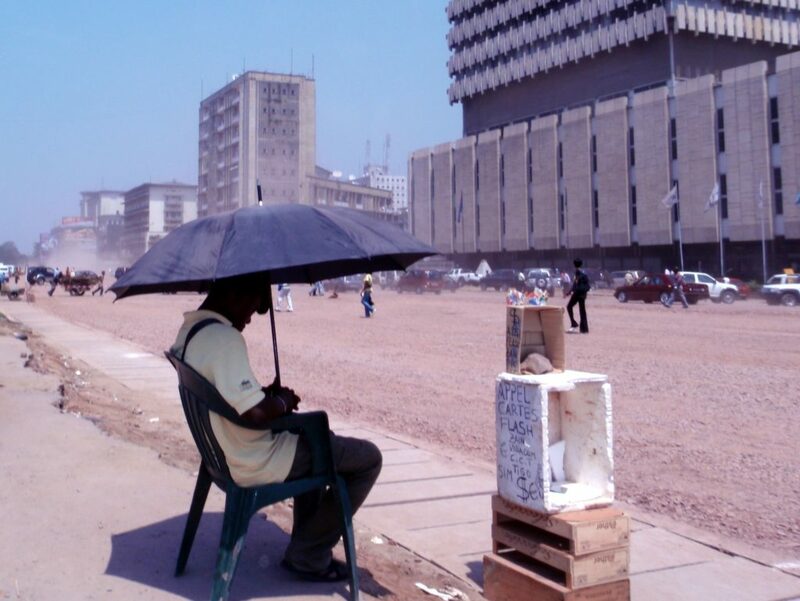 The positive trend observed in urban areas is mainly driven by the capital city of Kinshasa where poverty decreased spectacularly (-18 percentage points), which was due to a significant increase in overall income across all social groups. However, Kinshasa stands out as an exception; for the rest of the country, there is very little evidence of trickle down of per capita GDP growth. This result is consistent with evidence on ‘kinocentrisme’ (a systematic bias to favour the capital city) and with analyses that point to a disproportionate weight of Congo’s mining sector within the political economy of reconstruction. Our findings also point to an urgent need to make both international and national statistical services more transparent and available to the wider public. Increased public scrutiny will surely increase the quality and credibility of official poverty estimates. Wim Marivoet works as a Research Fellow at the International Food Policy Research Institute in Dakar. His main research interests involve poverty measurements, livelihoods, and food and nutrition security, with a particular focus on the DRC. Tom De Herdt works at the Institute of Development Policy at the University of Antwerp, he specialises in poverty and development in Congo-Kinshasa, Nicaragua, Rwanda and Cameroon. John Ulimwengu is an expert on poverty dynamics, economic growth, and rural development and works for the International Food Policy Research Institute in Washington. Featured Photograph: Boulevard du 30 Juin (the day of Congo’s independence in 1960), 4 March 2010. While the technical ‘corrections’ (adjustments) to the conventional wisdom of the INS and World Bank data and findings regarding poverty in the DRC are welcome and tend to confirm more qualitative and impressionistic studies, the lack of political economic context is striking. It is seriously misleading to simply adopt the language of the Bank and government, and to refer to a mythical/non-existent ‘post-conflict’ period (after the death of Kabila I and his replacement by Kabila II) in which ‘peace, democracy and poverty reduction’ were on the agenda of what continued in reality to be a conflict-torn, fragmented and kleptocratic state which enabled and even encouraged a range of vested interests, both national and foreign, to plunder the resources that belong to the Congolese people. To clarify: we didn’t have the intention to question whether or not framing the DRC a State in the process of post-conflict reconstruction is indeed accurate, we just concentrated on one crucial aspect of it, namely whether this process led to monetary poverty reduction. It did not. But – given the realities of the political economy of the DRC over the last two decades under Joseph Kabila and the unreality of the ‘conventional wisdom’ promulgated by the World Bank and INS – the results are not surprising, and I suggest that it is misleading, and not just a matter of focus, to fail to challenge the whole idea of ‘post-conflict reconstruction’.